A senior MP has criticised Chris Grayling for failing to provide any further explanation for bypassing procurement rules in awarding three contracts for shipping services in the event of a no-deal Brexit. 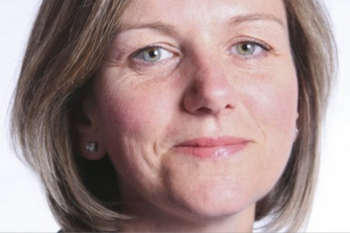 The Transport Select Committee has published an exchange of letters between its chair, Lilian Greenwood MP (pictured), and the transport secretary, as well as two submissions to the committee which allege that Mr Grayling should not have used emergency powers to award the contacts without competition. The controversy relates to the Government’s announcement in late December that it had awarded contracts to three companies, including UK firm Seaborne, to ease congestion at British ports in the event that the UK leaves the EU without a deal. It subsequently transpired that Seaborne does not have any ships. Mr Grayling subsequently defended the firm's contract on the grounds that the Government was supporting British business, which Ms Greenwood suggested could breach rules on state aid. The two written submissions to the committee’s inquiry on Freight and Brexit, alleging that the Government acted illegally in awarding the three contracts, pointed out that the Public Contracts Regulations 2015 allow a contract to be awarded without a public competition, only in situations of ‘extreme urgency brought about by events unforeseeable by the contracting authority’. The submissions pointed out that the possibility that the UK would leave the EU without an exit deal has existed at least since prime minister Theresa May gave notice under Article 50 in Mary 2017. In his letter to Ms Greenwood, Mr Grayling quoted from the original contract notice, which claimed that the situation was urgent because of ‘the unexpected and unforeseeable limitations on the extent to which the market had to date been able to respond to the risk of no-deal by putting in place contingency plans to prepare for this scenario‘. Responding to Mr Grayling’s letter, Ms Greenwood said: ‘It seems extraordinary to me that the Government’s response fails both to provide any additional insight into why the Department used emergency powers in the award of the contracts, and to respond to the substance of our questions about the Department’s process for securing them. This was an opportunity for the secretary of state to put the record straight.